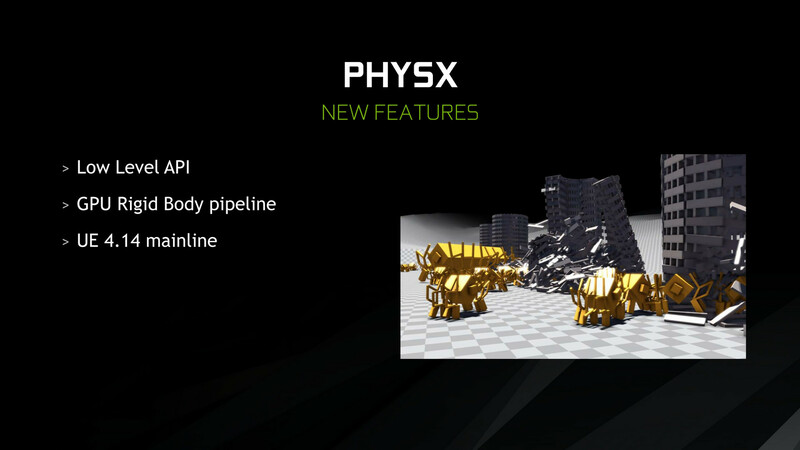 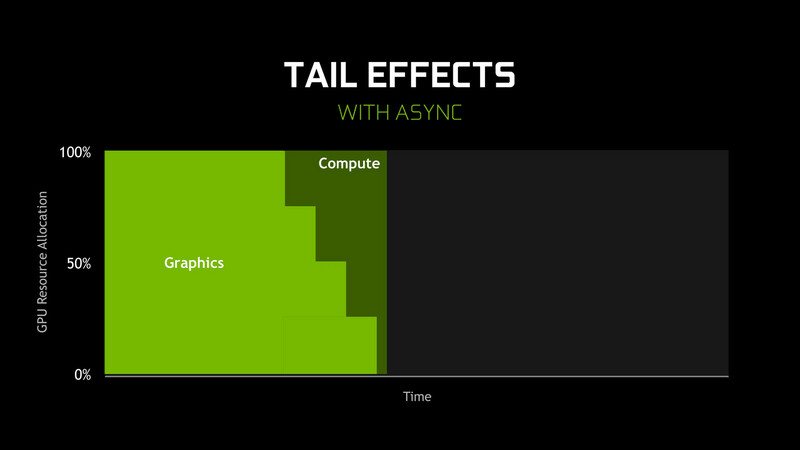 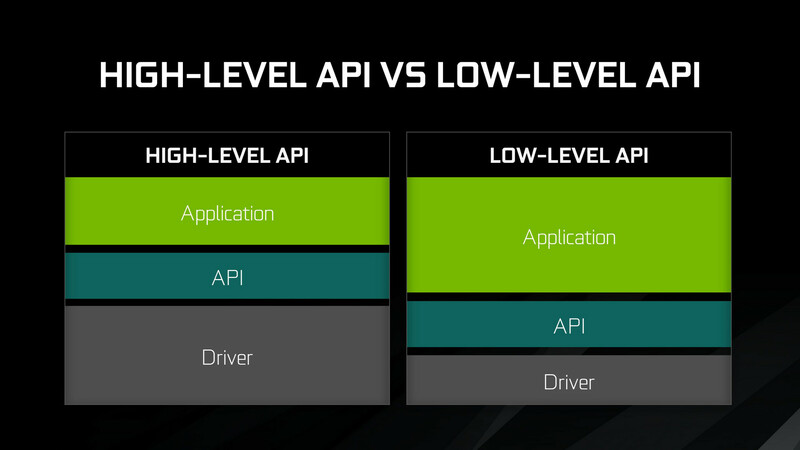 Developers will reap the benefits of improved low-level API and asynchronous compute while new features like Shadowplay Highlights and Ansel aim to make sharing easier for gamers. 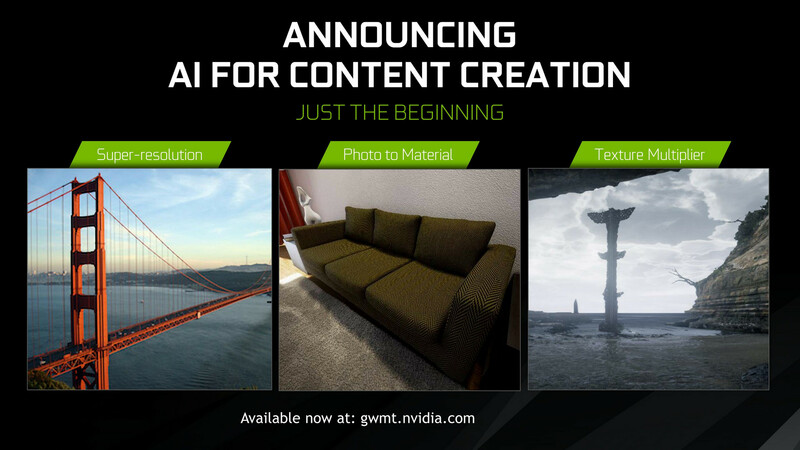 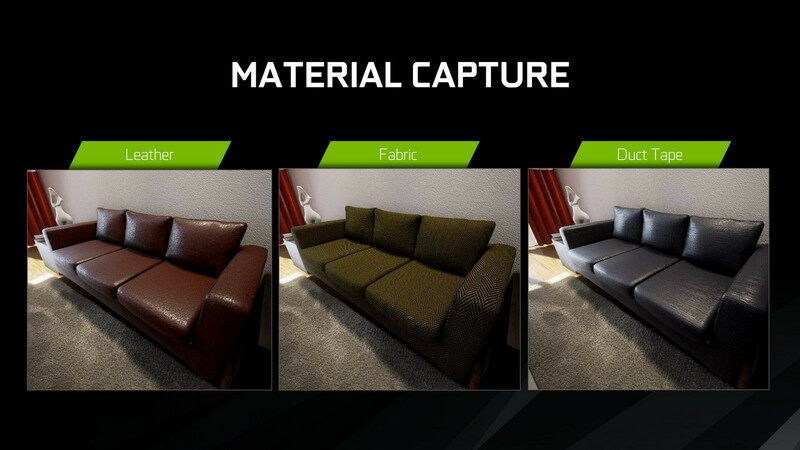 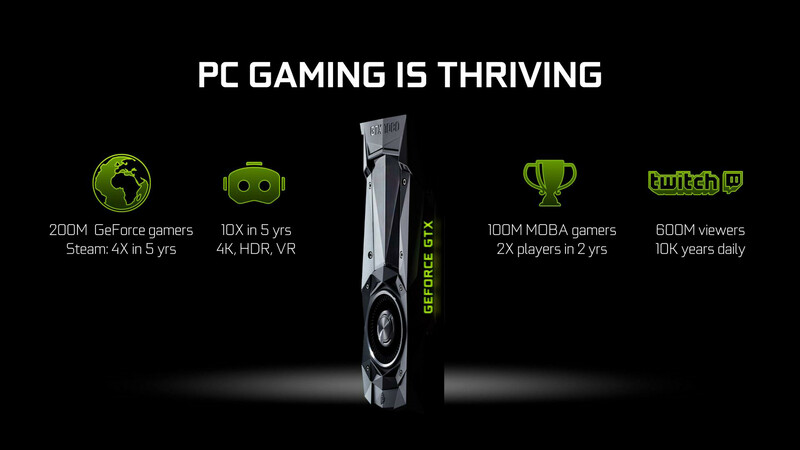 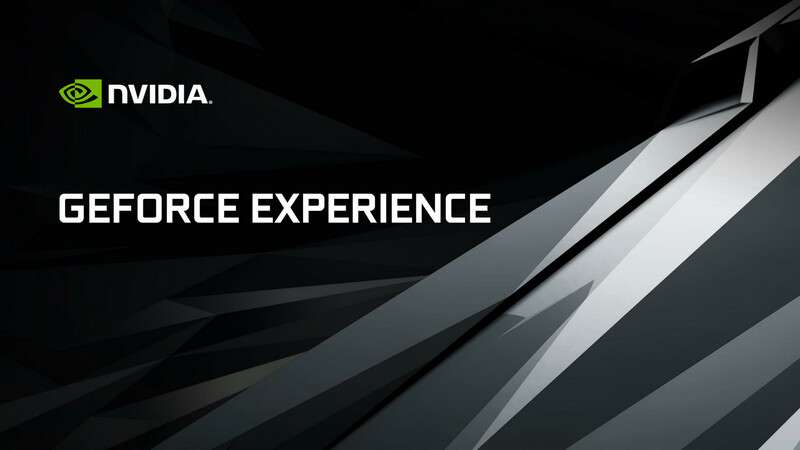 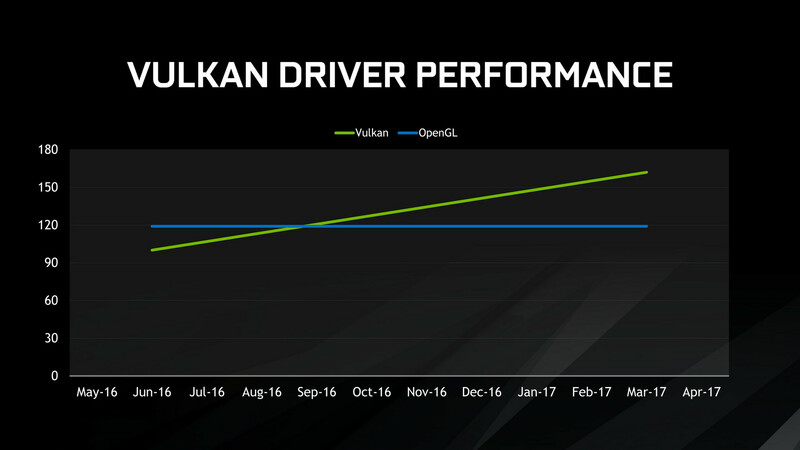 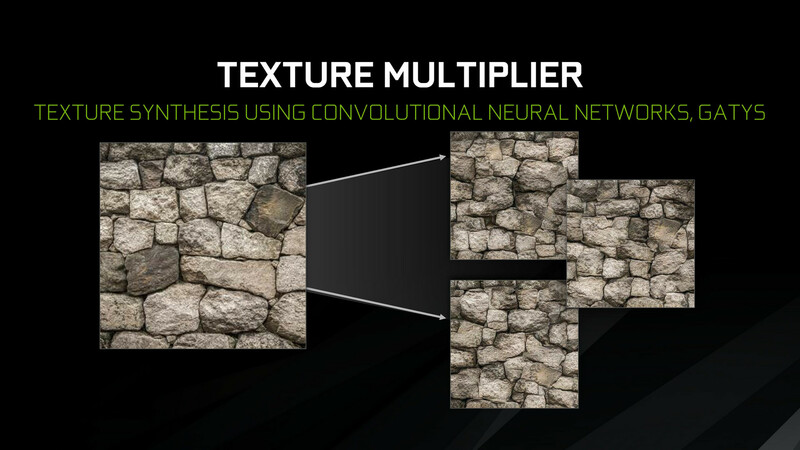 Nvidia is kicking off its GDC 2017 conference with a plethora of software both new and improved. 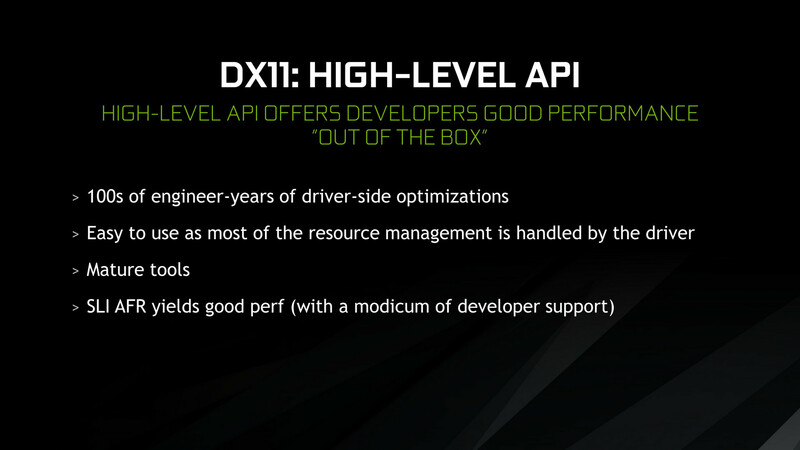 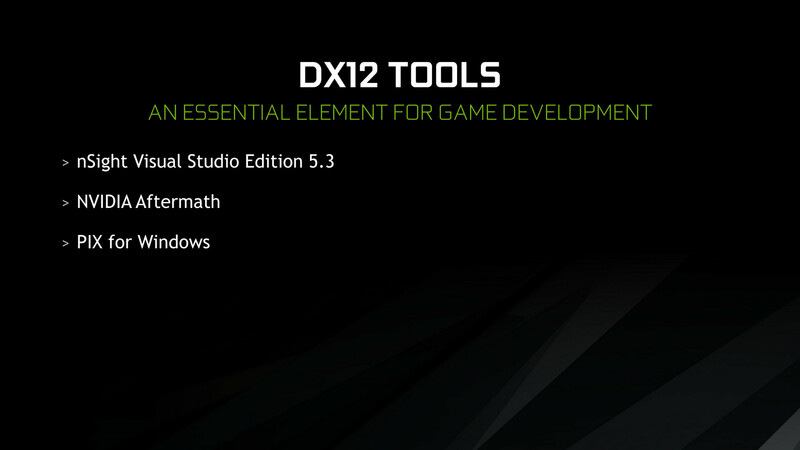 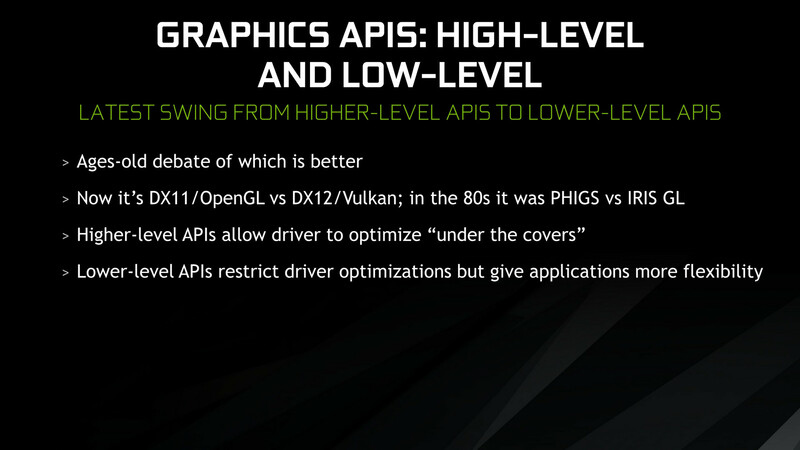 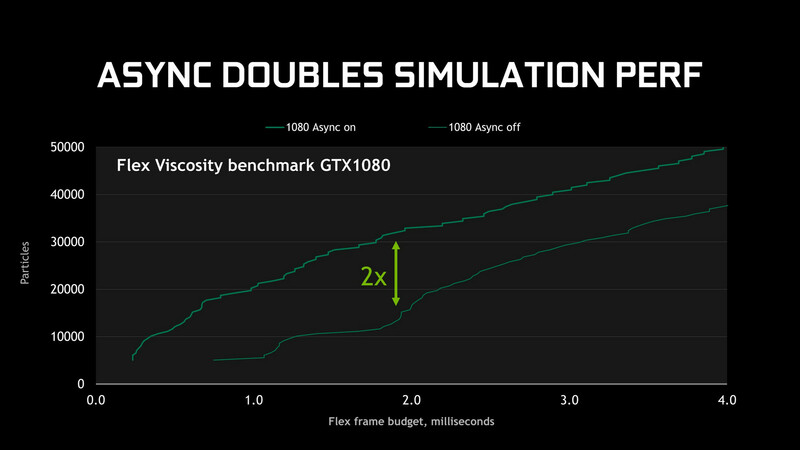 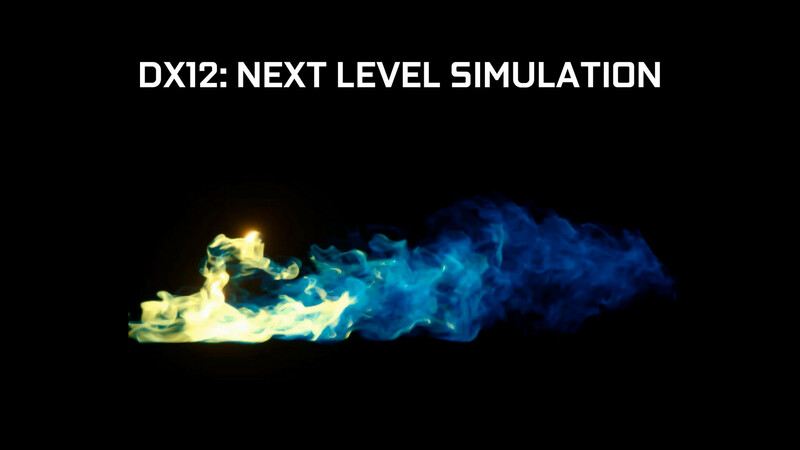 The first set of new tools are catered directly towards develops such as an increased focus on low-level API features that AMD Mantle and console developers have enjoyed for years. 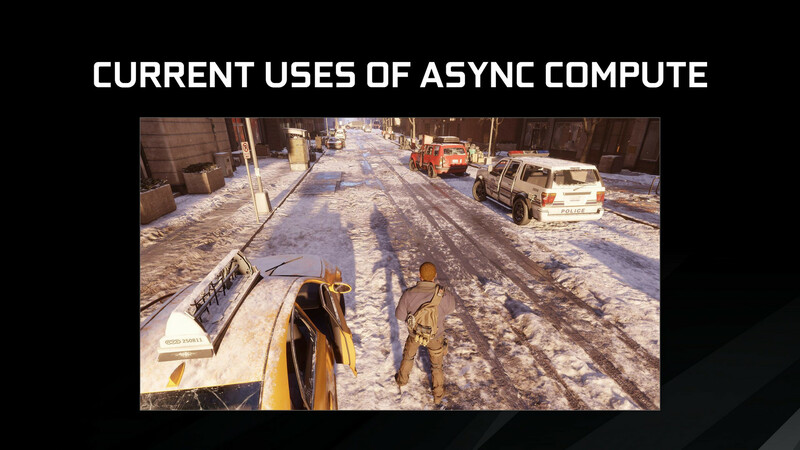 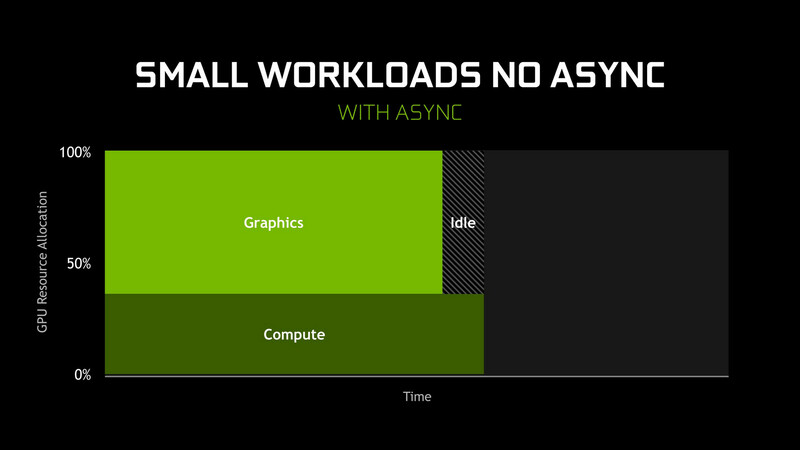 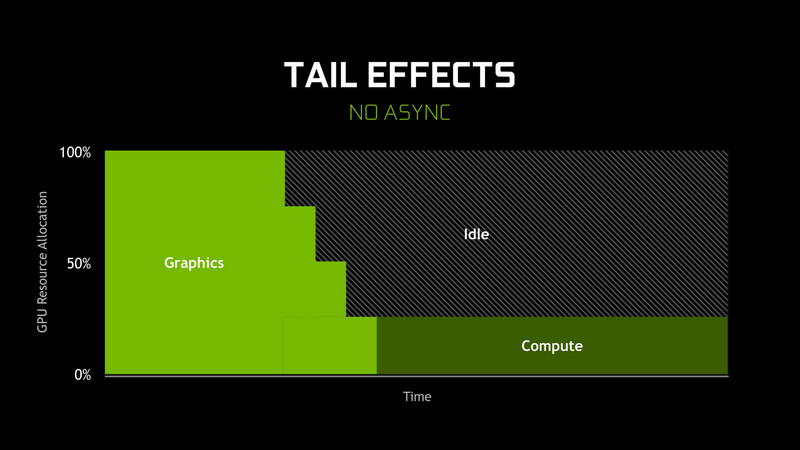 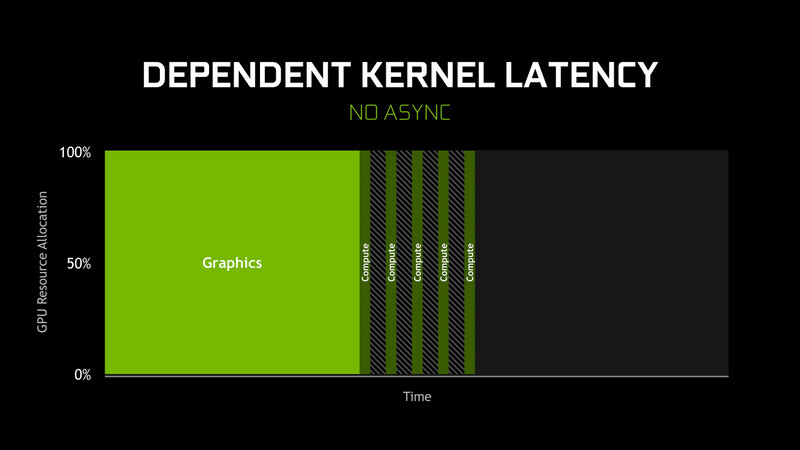 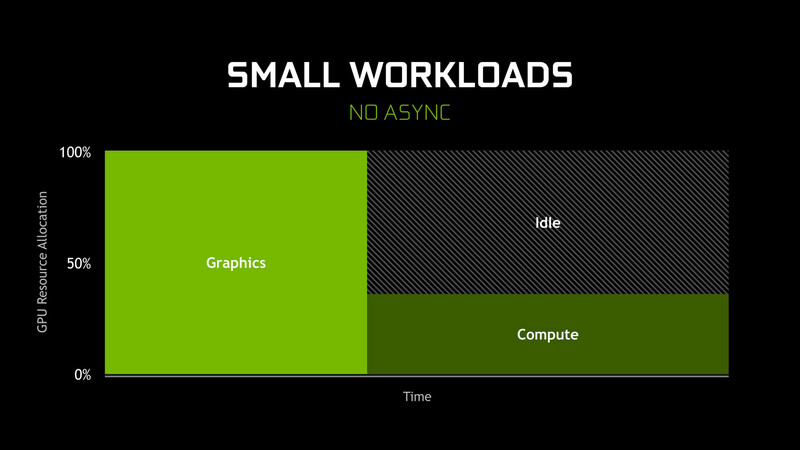 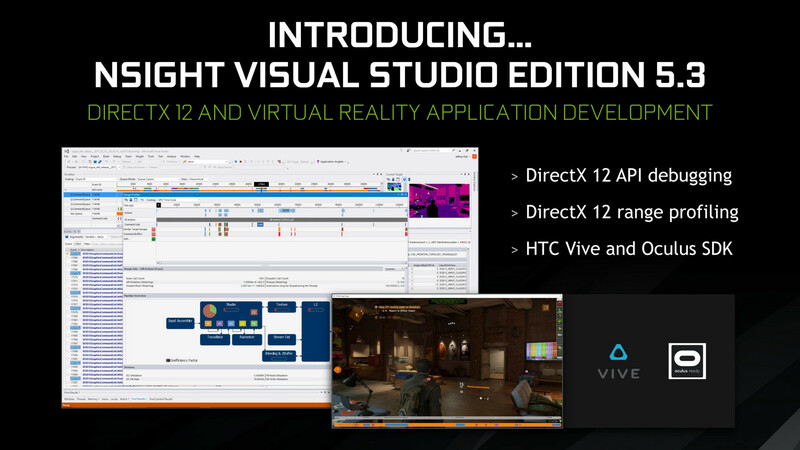 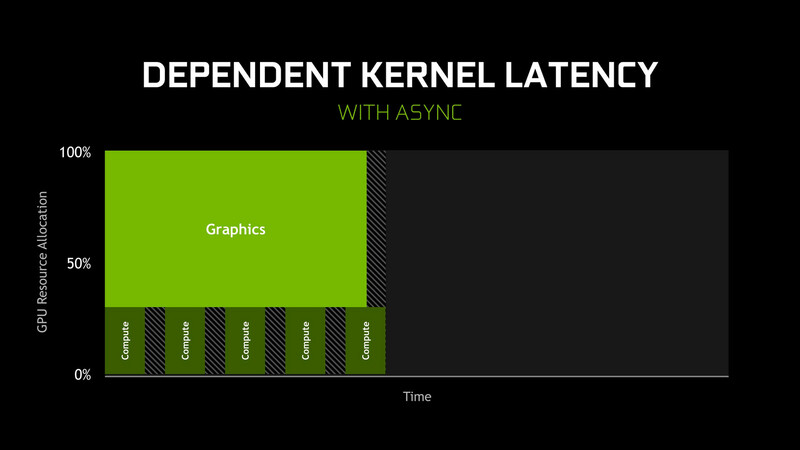 This includes asynchronous compute to reduce the amount of "downtime" GPU idling, nSight Visual Studio 5.3 for DX12 and VR de-bugging, Aftermath for logging crashes of shipped games, and Pix for isolating key moments of gameplay during development where bugs may occur. 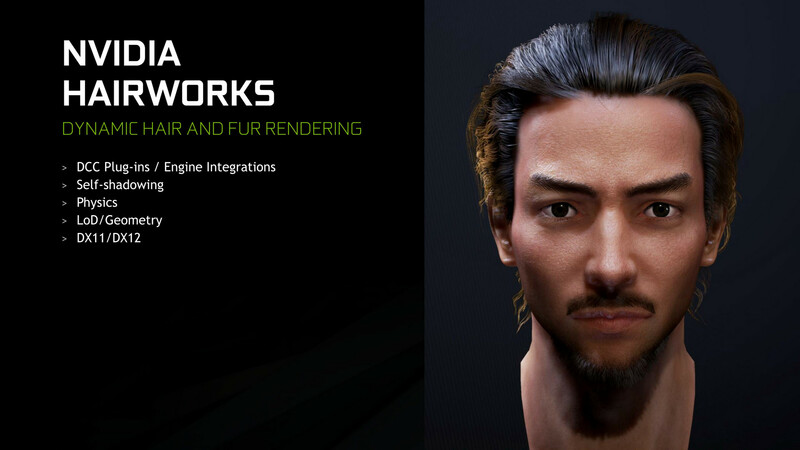 The latter had been available only for Xbox developers and Nvidia will be working with Microsoft to bring an optimized version of the software for PC. 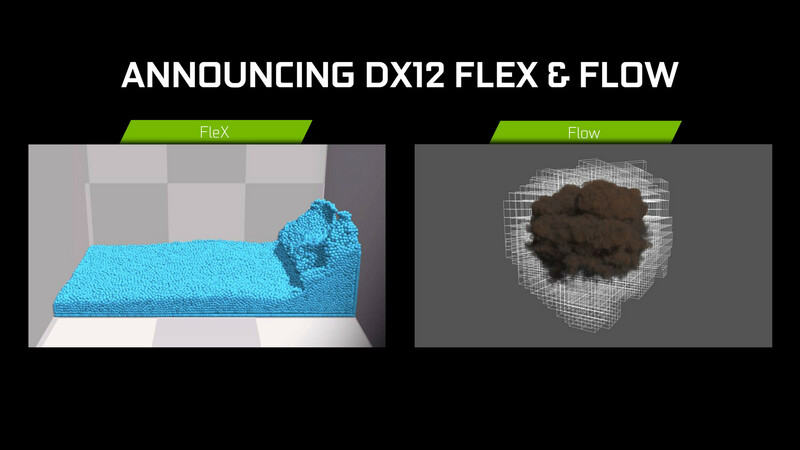 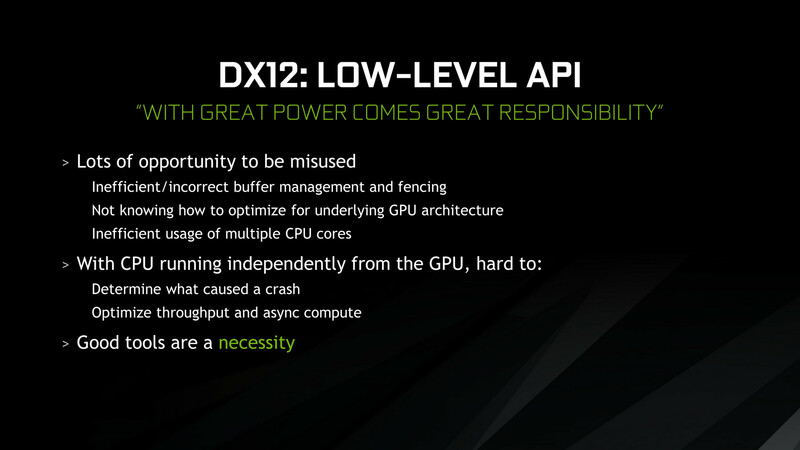 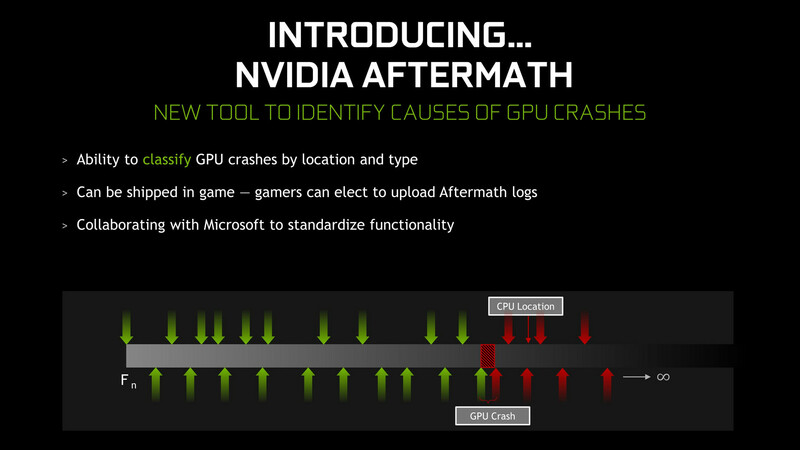 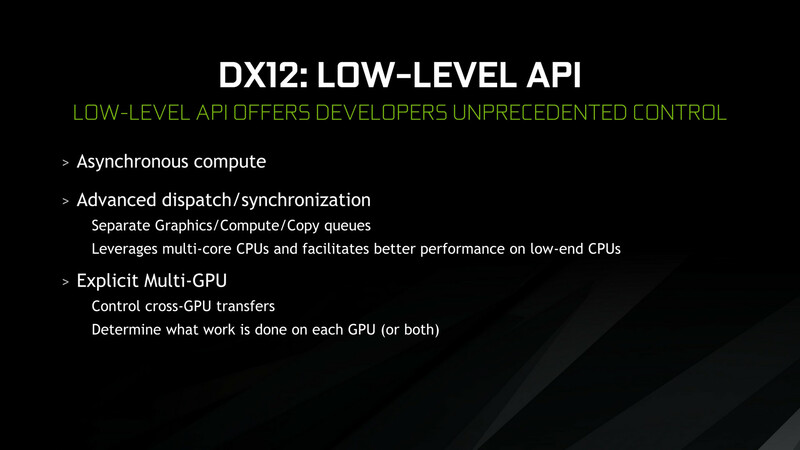 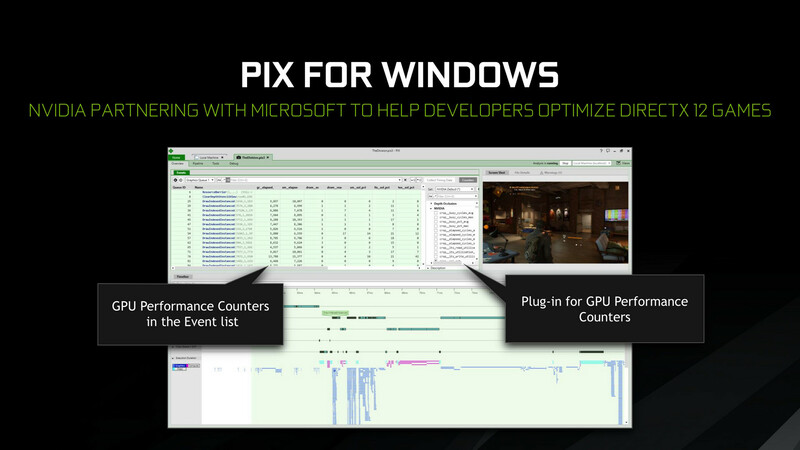 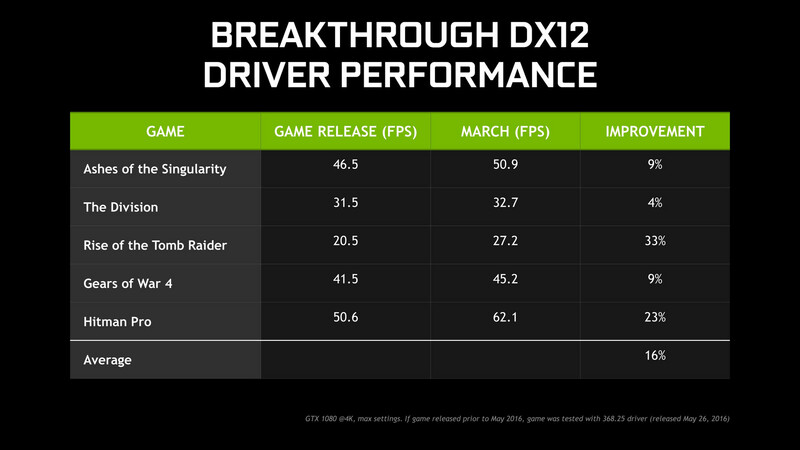 Nvidia claims that average FPS performance in games have jumped by 16 percent due solely to DX12 improvements. 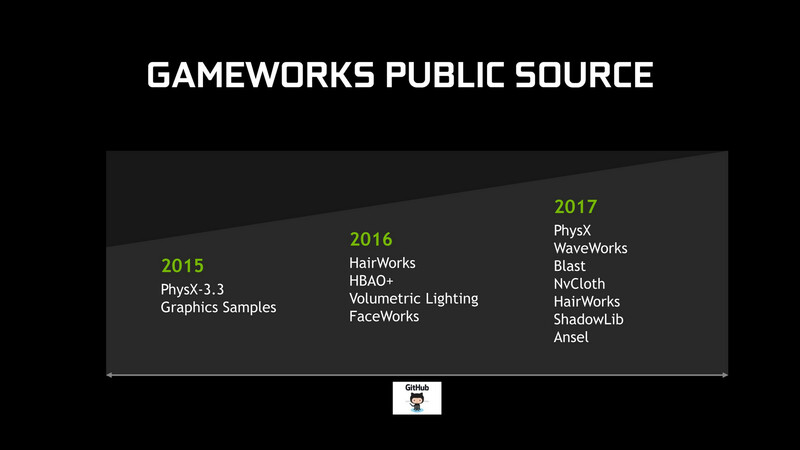 Nvidia is further expanding its software to be compatible with major gaming engines including UE4, Unity, and Lumberyard by Amazon. 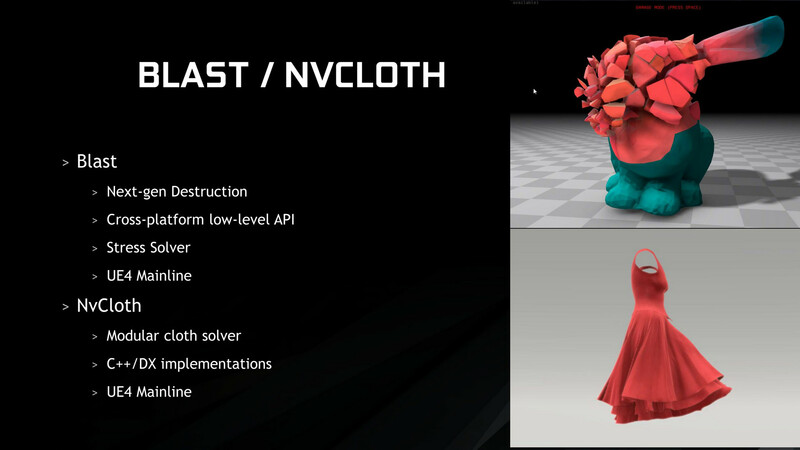 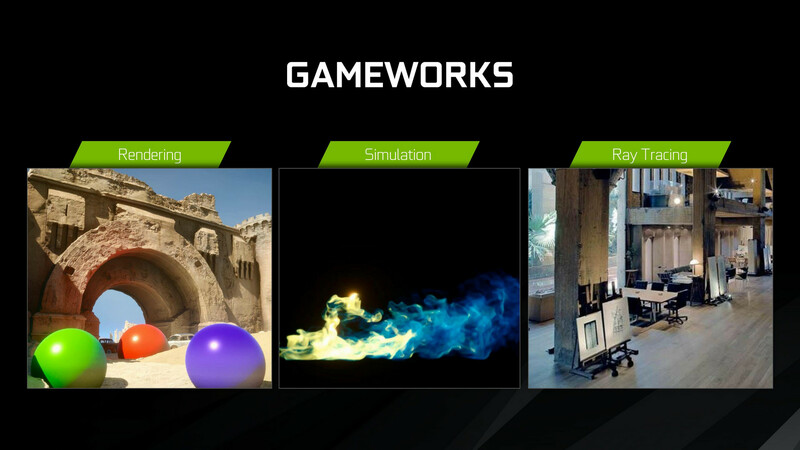 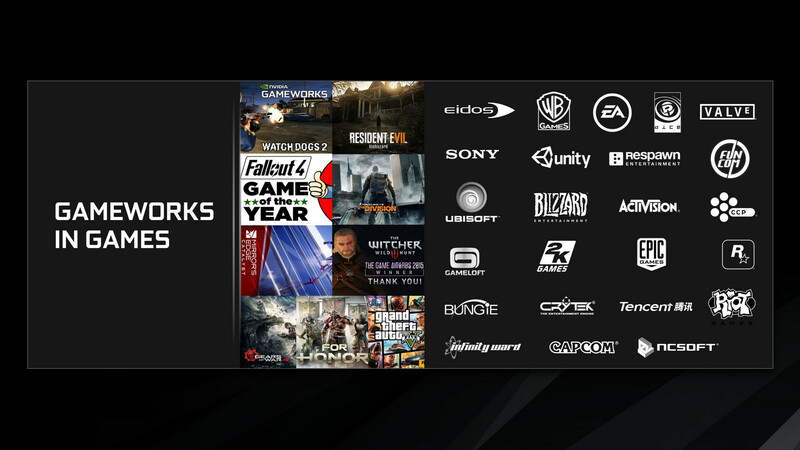 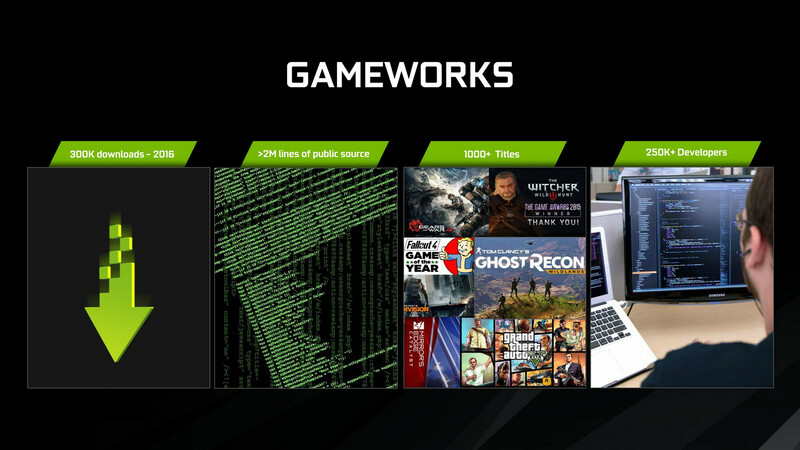 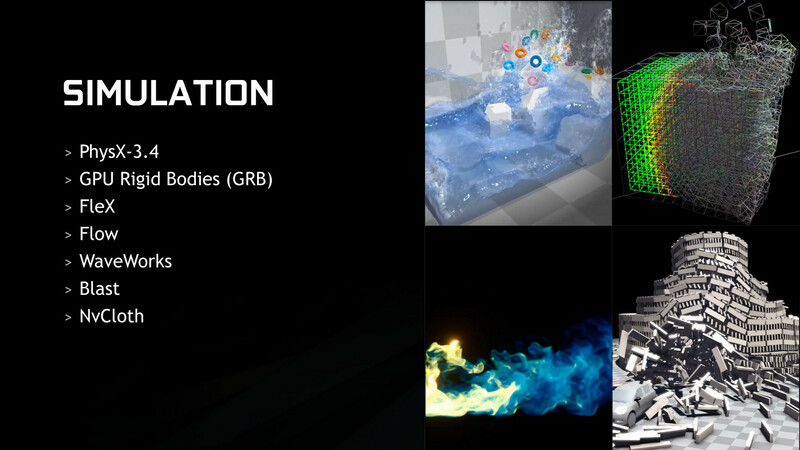 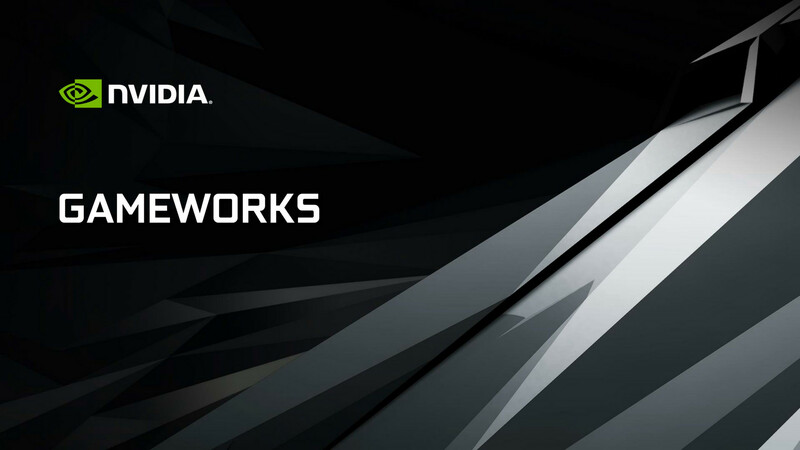 Gameworks, for example, is becoming more advanced and now includes new rendering techniques such as WaveWorks, Blast, NVCloth, and ShadowLib. 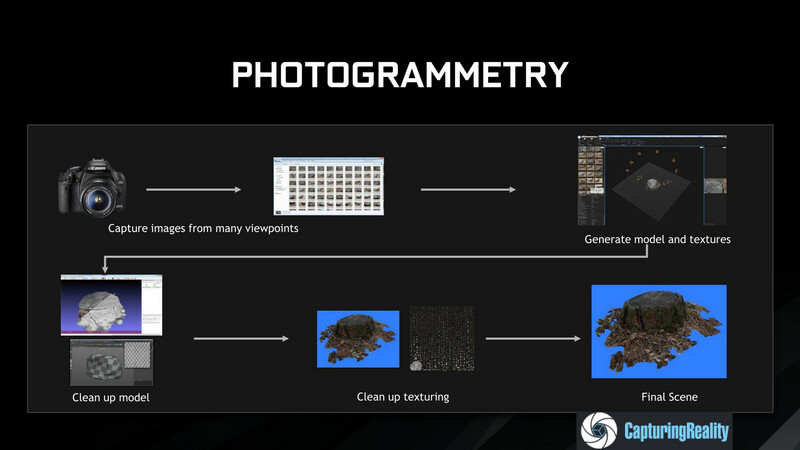 A new photogrammetry technique can allow developers to easily apply texture characteristics of differing materials simply by uploading two pictures of the same material under differing lighting conditions. 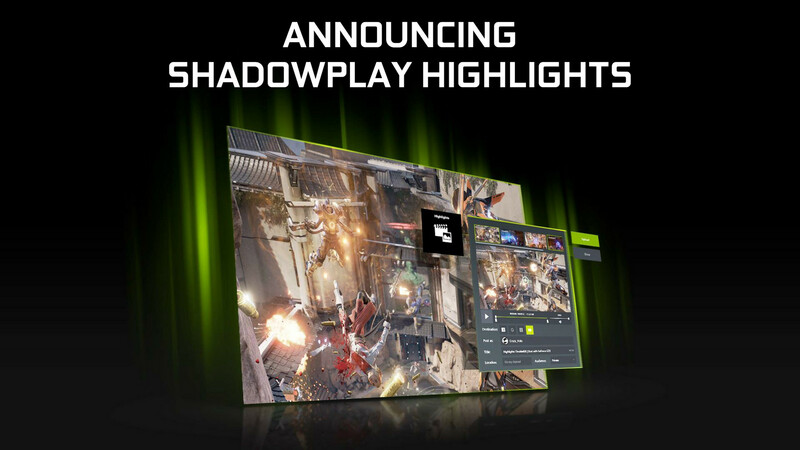 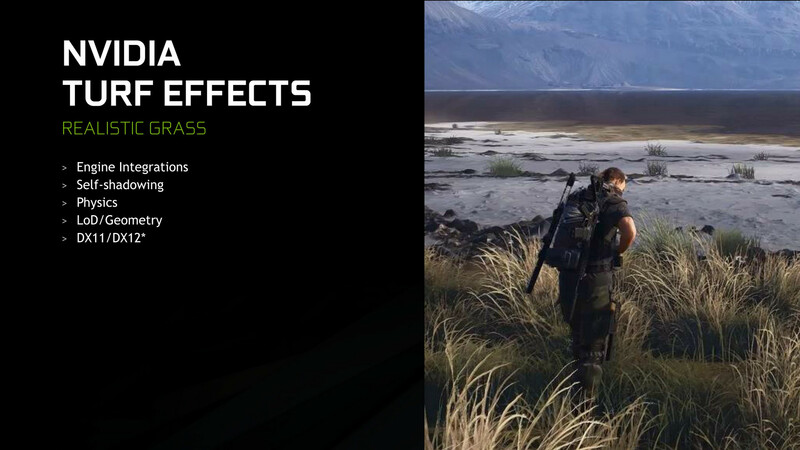 As for the end-user, GeForce Experience will now be updated with Shadowplay Highlights and Ansel. 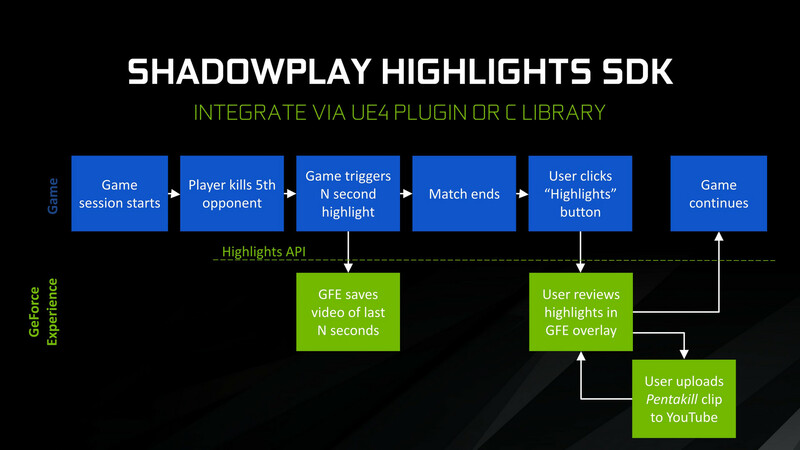 Shadowplay Highlights can automatically record up to 4K 60 FPS H.264 and detect key gameplay moments or "play of the game" plays from the user. 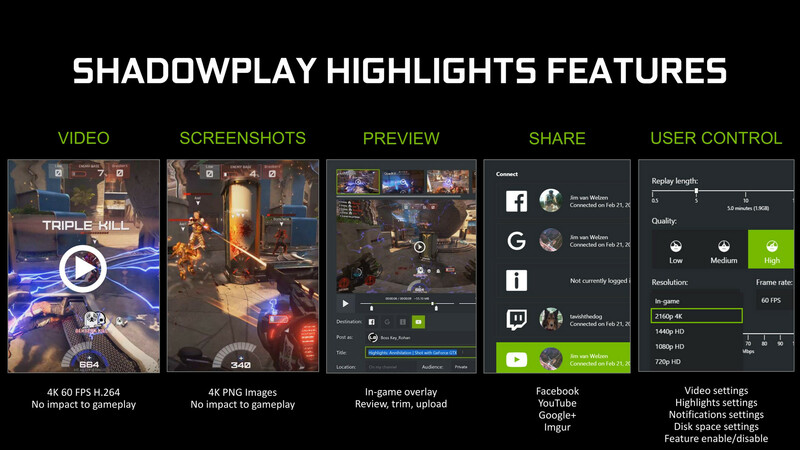 The video can then be easily previewed, trimmed, and shared through social media without exiting the game. 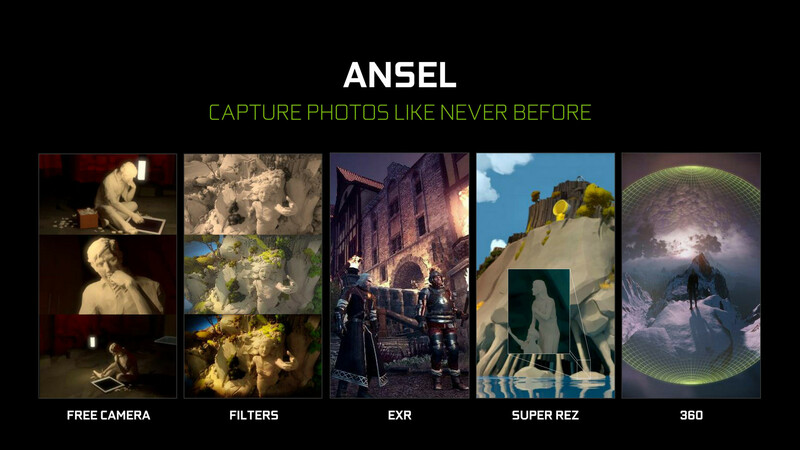 Meanwhile, Ansel is an in-game "free-camera" for the user. 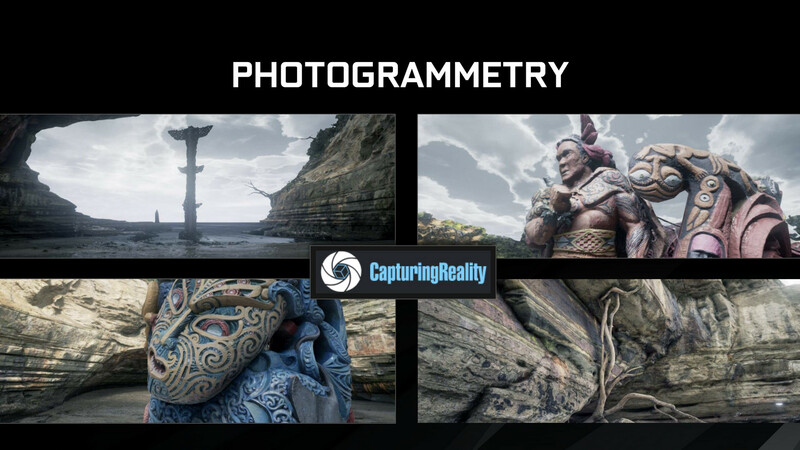 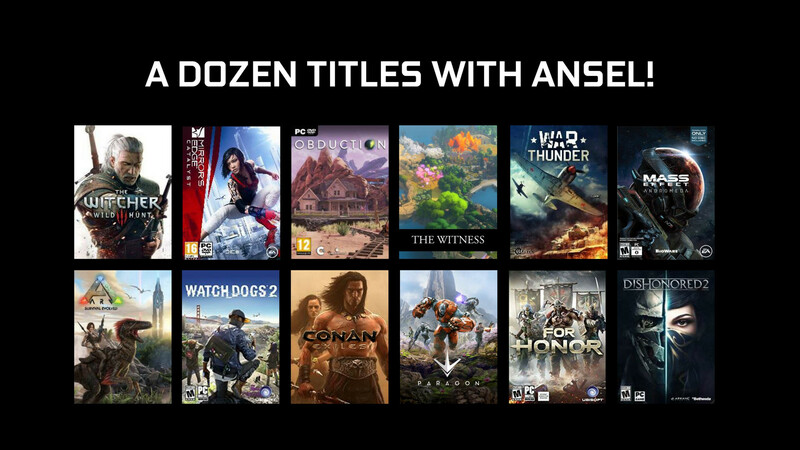 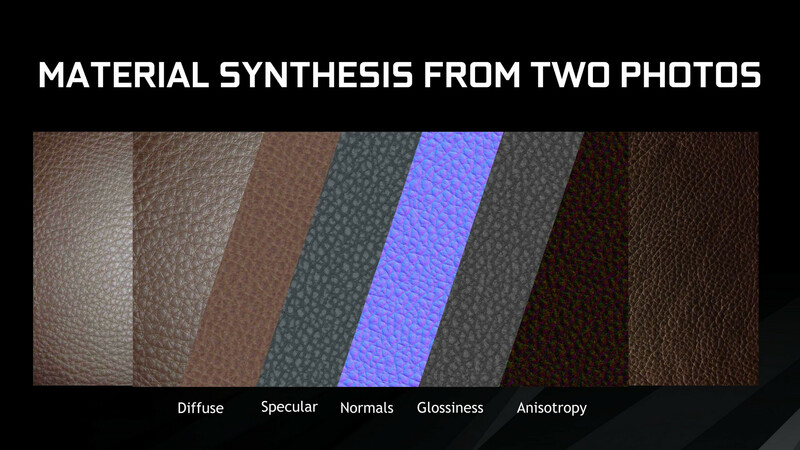 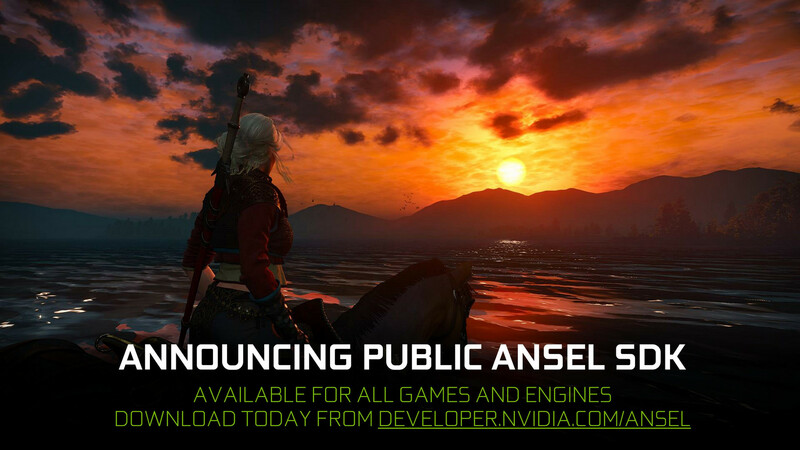 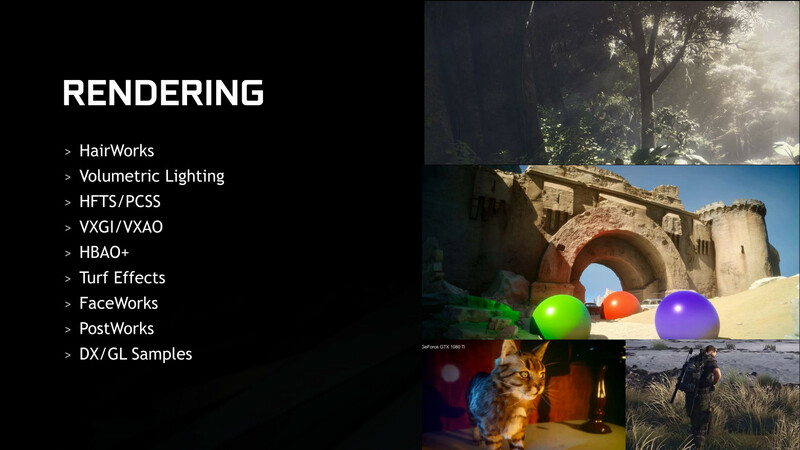 Screenshots taken with Ansel will have filters and post-processing effects available to touch-up the image, but not all titles will support the feature as Nvidia has announced only 12 thus far. 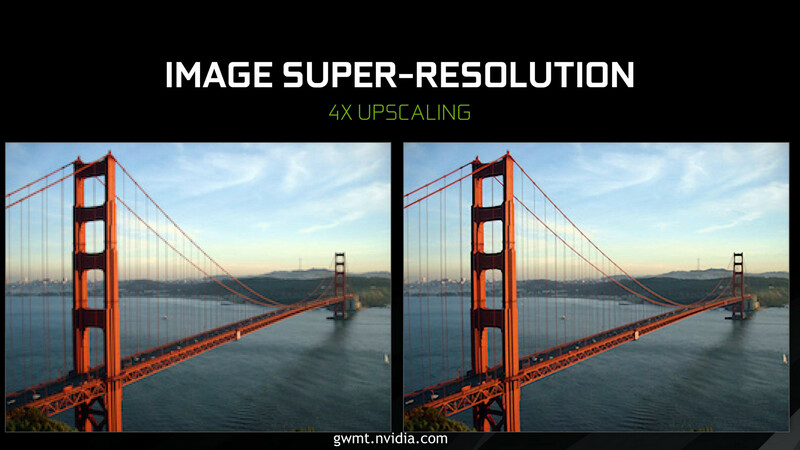 Finally, a new image upscale allows users to upload a low resolution image and return an improved picture of up to 4x the original resolution.